--Choose from the built-in narrators: child's voice in English; adult's voice in English or Spanish. --Additional languages included with purchase: Mandarin, Cantonese, Hindi, Japanese, Swedish, Dutch, Italian, German, French and UK English. 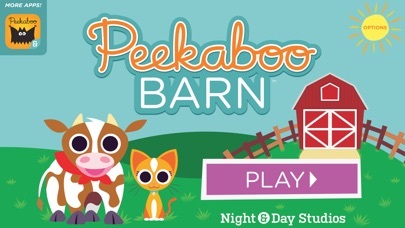 One of the first apps to be released for toddlers, since 2008 Peekaboo Barn has been downloaded over half a million times, and played over 70 million times worldwide. It has been a top 20 educational game on the iTunes store nearly every day since its launch, and has been featured by Apple often. It won The Best Toddler App Ever award in 2009, and was named one of the top 50 iPhone apps for kids by Babble.com in 2010 and 2011. It is recommended by The New York Times, MSNBC, USA Today, Wired, Telegraph UK, Ireland’s The Independent, Parents Magazine, and the Washington Post. Peekaboo Barn was made for you and your toddler by artists and educators, not marketers, robots, or companies repackaging clip art. Our team has backgrounds in cognitive science and child development, and we’ve worked in educational media everywhere from Penguin USA to the Smithsonian Institution. When you could really use a safe distraction--in airports, restaurants, and waiting rooms--or you'd like to try something new with your little genius, Peekaboo Barn is the educational, artful solution. Enjoy! The Developer Night & Day Studios, Inc. also wrote the apps listed below, click the icon to visit the pages. 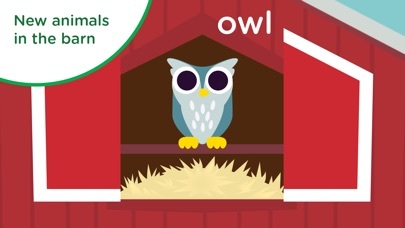 See who’s waiting for you at the world-famous Peekaboo Barn—the award-winning app for toddlers! You’ve found the free, sample version of bestselling Peekaboo Barn. Listen to the sounds coming from inside the barn. Can you guess who it is? 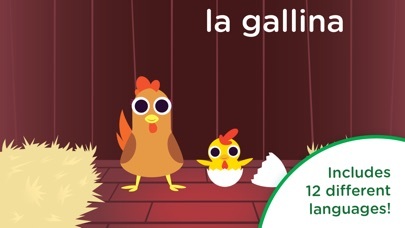 Tap the barn to find out which friendly animal is waiting to surprise you. Explore all of the animals and animations as you learn cause and effect, identify animals, and become familiar with their names and sounds. • The full, premium version of Peekaboo Barn is a separate app, also available on the App Store. This app was handmade with love by humans at Night & Day Studios, specially crafted by expert app designers for early childhood learners and children of all ages with special needs. We’re turning Peekaboo Barn into other great products for kids, like books, toys, and physical games. Check out PeekabooBarn.com to see the whole line-up. One of the first toddler apps on the App Store, since 2008 Peekaboo Barn has been played almost 100 million times worldwide. 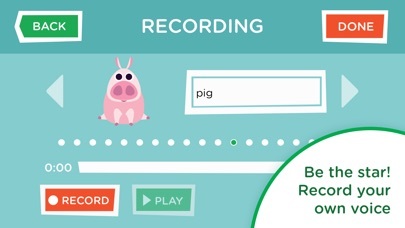 A top-ranking and highly Apple-featured app, Peekaboo Barn won The Best Toddler App Ever award in 2009 and was named one of the top 50 iPhone apps for kids by Babble.com. Peekaboo Barn is recommended by Consumer Reports, The New York Times, MSNBC, USA Today, Fox News, Wired, MacWorld, The Guardian, Telegraph UK, Ireland’s The Independent, Parents Magazine, and the Washington Post. For more, see “Learning at the Farm: Developmental Psychology in Peekaboo Barn” by Carly A. Kocurek and Jennifer L. Miller in the journal Well Played, Volume 6, Number 3, 2017. Please visit our support page at nightanddaystudios.com/support before posting a review. We'd love a chance to troubleshoot for you first!